Whether it’s exploring the great outdoors or within the walls of their own home, cats have a knack for making the ordinary extraordinary. 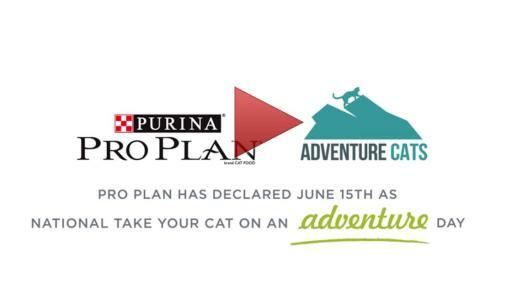 To help cat owners rethink the ordinary and inspire them to keep the adventure alive with their cats, Purina Pro Plan is partnering with Adventure Cats to proclaim June 15 as National “Take Your Cat On An Adventure” Day (www.mygreatcatadventure.com). The day encourages all cat owners to create a safe outdoor experience with their cat and share photos of their adventures online using #MyGreatCat. Part of a cat’s true nature is their adventurous spirit. Safe exposure to the outside world can be an engaging part of a cat’s life, allowing them to exercise their natural instincts and stay in tune with their surroundings. 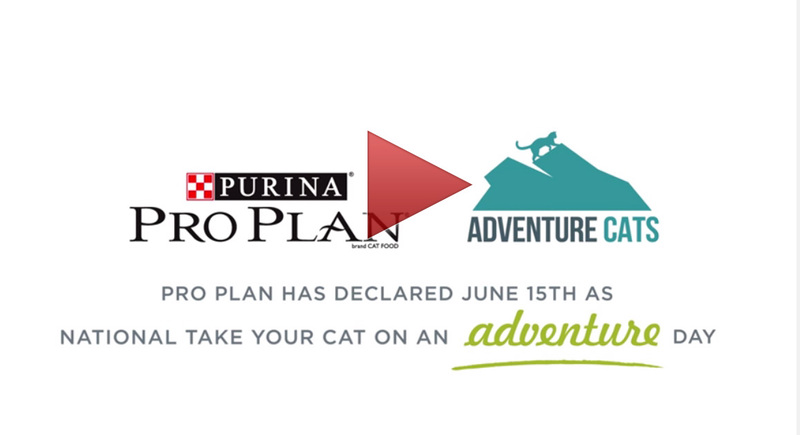 Pro Plan and Adventure Cats are partnering to provide expertise and helpful insights to fully unleash these instincts. 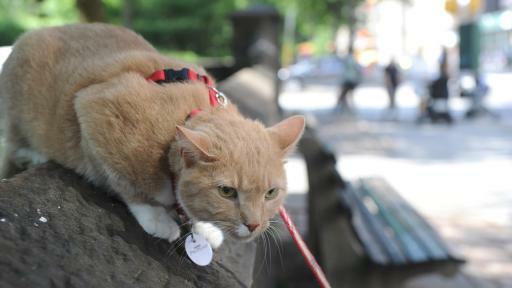 National “Take Your Cat On An Adventure” Day on June 15 provides owners an opportunity to share new experiences with their cats that they may not have considered before. Adventure Cats is a group of outdoorsy cat lovers who started AdventureCats.org as a resource for people looking for safe ways to explore the great outdoors with their feline friends. They are challenging negative stereotypes about cats and the people who love them in order to increase shelter cat adoptions. 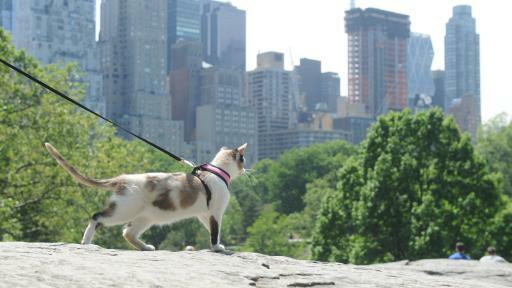 While some cats will thrive taking outdoor adventures, some may never become comfortable with leash walking due to age, personality or lifestyle. But even cat owners who can’t venture outdoors can still partake in the June 15 celebration through dynamic indoor toys and activities such as puzzle feeders, hidey boxes or wand toys. 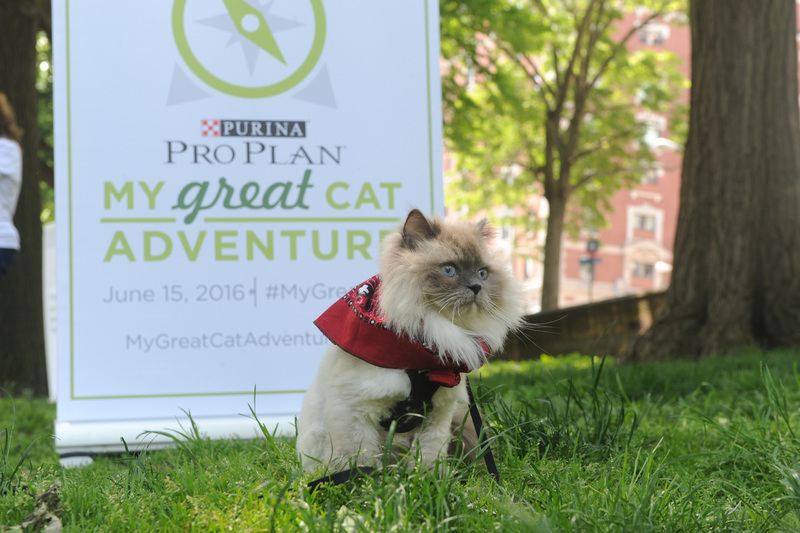 Cat owners are encouraged to share images of their adventures from National “Take Your Cat On An Adventure” Day using #MyGreatCat for a chance to win a year’s supply of Pro Plan cat food from Adventure Cats. 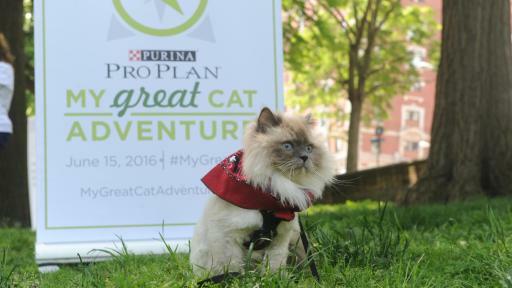 For more information on Purina Pro Plan, how to get involved in National “Take Your Cat On An Adventure” Day and tips on how to adventure responsibly, visit www.mygreatcatadventure.com. Purina Pro Plan Cat understands that every cat is different in her own, wonderful way. That’s why Purina Pro Plan has a wide range of dry and wet cat foods and snacks, sold exclusively at pet specialty stores. In three unique nutritional platforms – Savor, True Nature and Focus – each formula is designed to provide advanced nutrition to help your cat thrive. For more information, visit www.proplan.com/cat. Nestle Purina PetCare promotes responsible pet care, humane education, community involvement and the positive bond between people and their pets. A premiere global manufacturer of pet products, Nestle Purina PetCare is part of Swiss-based Nestle S.A., a global leader in nutrition, health and wellness. AdventureCats.org is the first and only resource for information on safely exploring the great outdoors with your feline friend. The site is run by a passionate group of outdoorsy cat lovers who want to challenge negative stereotypes about cats and their owners.